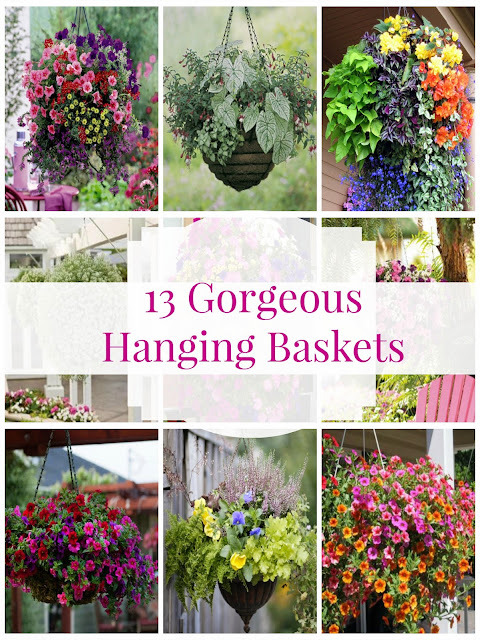 I have rounded up some of the most beautiful hanging baskets around the web. Some of these images were pins on Pinterest but did not have a source. Don't you just hate that?! Find something awesome on Pinterest, click on it and it takes you to the internet void! Most of these pictures do have sources just click on the link below the picture. 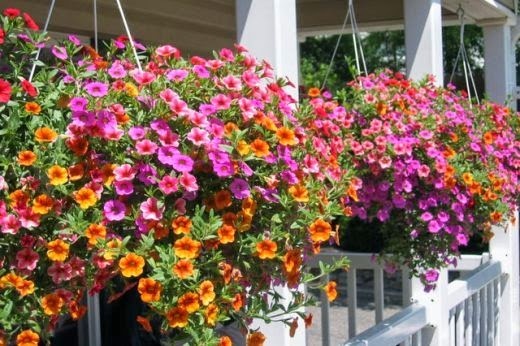 I hope these baskets inspire you and if you already have gorgeous hanging baskets share them with me on social media. I would love to feature your pics! 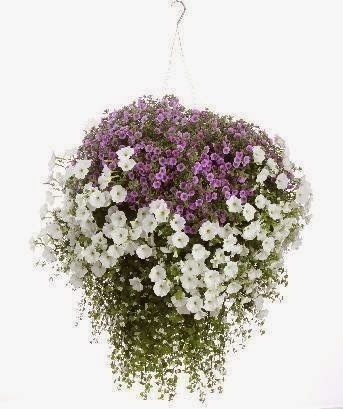 Love the blue Petunias laced through this basket. 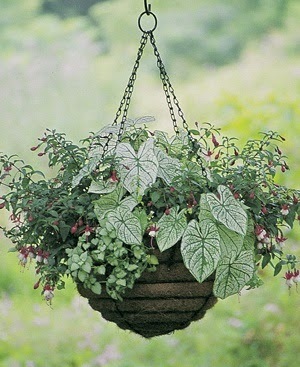 I would have this style basket hanging from my fence posts. Even though this picture has a source it doesn't list the flowers used or directions on how to put it together. Yes please! 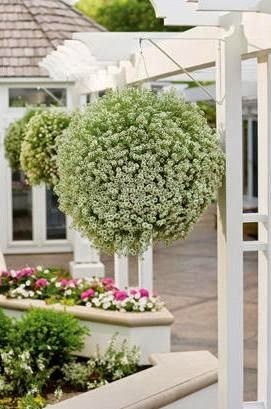 I love this single color flower ball. These baskets would be perfect for a long and tall front porch. 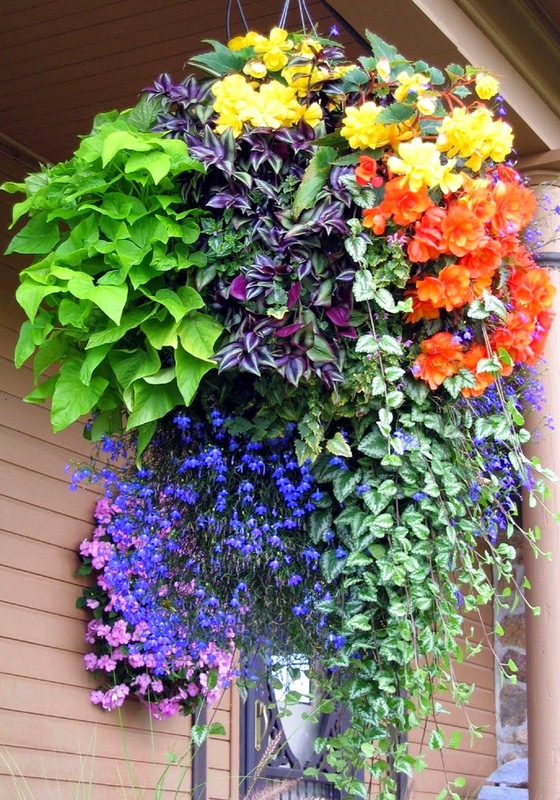 Click on the Source for a great article on creating and maintaining hanging baskets. Since I am surrounded by trees one thing I have a lot of is shade. I love Fuchsia and Caladiums. I think these shade baskets would look stunning hanging from some of my trees. Pretty mix of plant variety in this basket. Absolutely adore the pointed bottom and the chain ornament at the top. 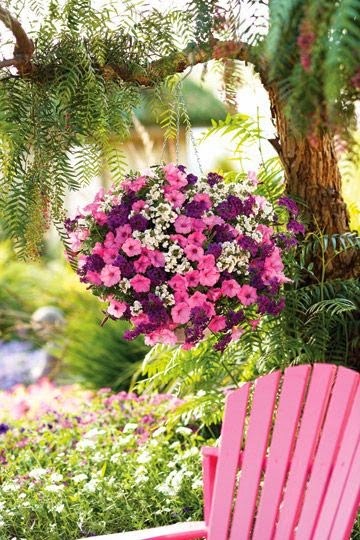 How pretty is this pink, purple and white basket? 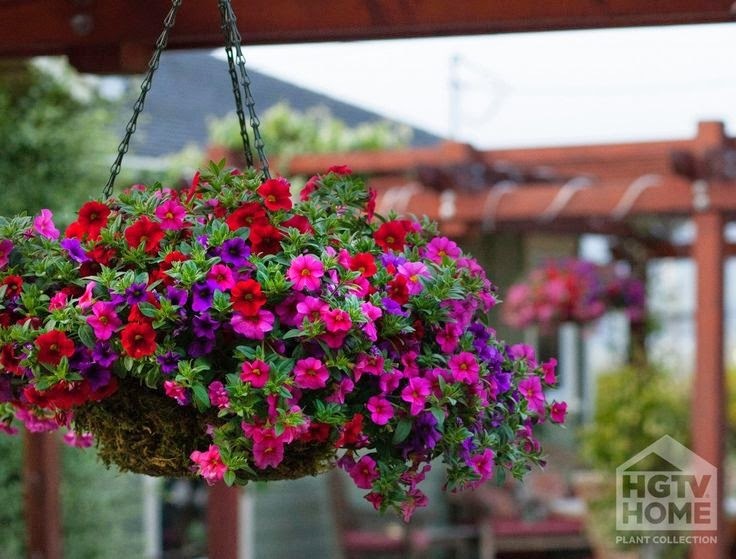 Click on the source for a great article on choosing the right plants and flowers for hanging baskets. Incredibly stunning. This makes me want to go to the nursery right now and recreate this masterpiece! Simply bright and beautiful. 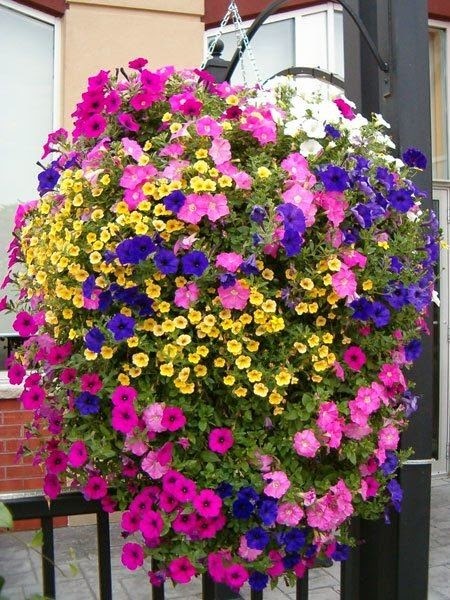 Although this gorgeous basket couldn't possibly be ignored I would hang it near the entrance of my house so that all my guests would have to stop and enjoy it before coming inside. The unruliness of this basket is just plain fun. I wouldn't be surprised if a couple of birds called it home. 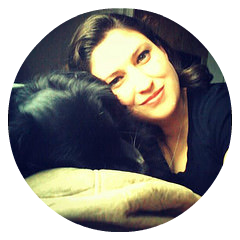 If you are on Flickr be sure to follow Jeni. She has fabulous photostream. This basket is so soft and elegant. This would be stunning hanging around a formal garden. 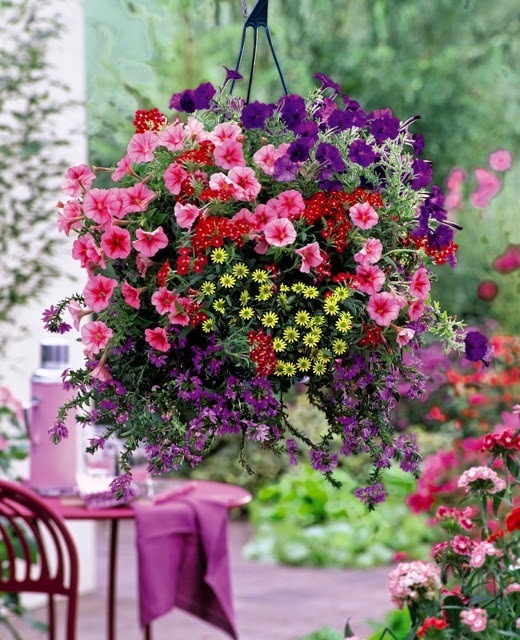 Different colored Petunias are a must for summer hanging baskets. View the source page for great ideas for creating a fun Cottage style front porch. Go big or go home! 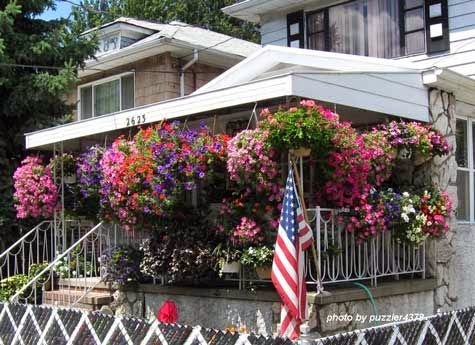 The source is a great article about this guy's awesomely huge hanging basket. How many plants do you think he has in that basket? Need some privacy? 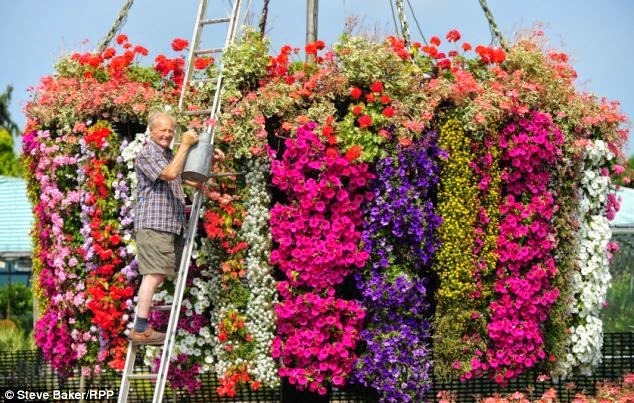 How about a privacy fence made up of hanging baskets. 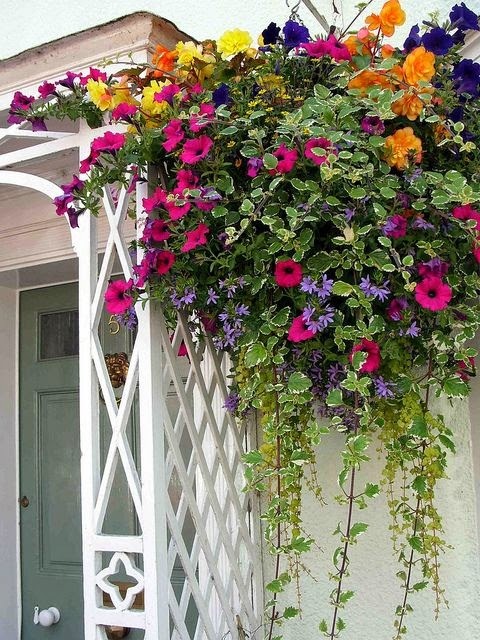 This is not only a lovely hanging basket but a great picture. I love the color combination of the pink, purple and red. 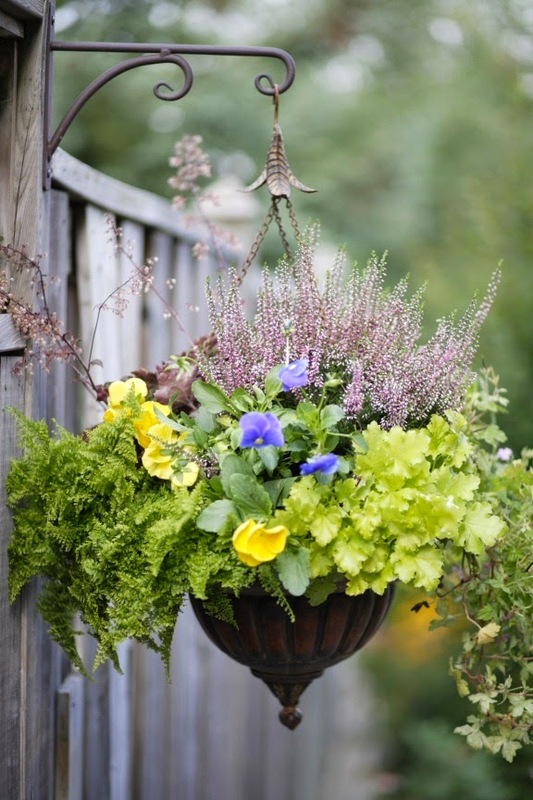 Follow along on Pinterest for great gardening inspiration. Father's Day Gifts for the Dad that has it all.